Vadlaheidi is a single tube tunnel of T9.5 (9.5m wide, 66m2) profile, and the full tunnel project length is approximately 7.5km. Following the progressive face collapse and cold water flood 1,474m in the east drive, methods for recovering the flooded heading are now being debated. Dewatering could begin within the next few weeks. From the east portal, near Fnjoskadalur, the flooded tunnel descends at a grade of 1.5%. About 600m of the lower end of the tunnel is completely submerged. The remaining length is partially flooded, back up to the crest of the vertical alignment, near the portal. Outflow from the tunnel has reduced slowly, and is now just over 320 litres/second, said Bjorn Hardarson, Chief Supervisor for the client of the toll tunnel project, Vadlaheidargong Ltd. Meanwhile, the unexpected problems on the east drive have led contractor Osafl hf – which is owned by Icelandic firm IAV and Swiss contractor Marti – to switch back to the opposite heading and resume tunnelling from that side. Last year, after reaching a distance of approximately 2,700m, a halt was called to tunnelling on that drive (from the west) due to increasing difficulties with geothermal inflows. These were progressively reaching temperatures of up to 60˚C. The problems led the contractor to stop work and make an early start instead on the east drive, in September 2014. But in April this year the sudden face collapse and subsequent cold water flood brought the brief burst of tunnelling on the east side of the project to a halt. With the focus now switched back to the hot drive from the west, Osafl is working from the west portal near Eyjafjordur, close to Akureyri in the mid-north of Iceland. Blasting resumed in late May, supported by more ventilation equipment plus a large-scale grouting regime to stem the scalding inflow of 30 litres/second. But, despite the extensive efforts, early progress on the resumed drive has been slow. The contractor is probing ahead of the face up to 30m, typically, and at times out as far as 40m into the hot basalt rock. Large volumes of two-component chemical grout as well as cementitious grout are being injected into the fractured rock mass to stop geothermal inflows, said Hardarson. Sometimes a single round of grouting can take one or two shifts, and it can take up to three rounds of grouting to stop the inflow, he added. The grouting holes are 20-25m long. But when the face is prepared, the blasts are achieving a good pull – typically 90% on a 5m long hole, he added. However, the advance rate is restricted by the prolonged time needed for grouting preparations. Vadlaheidi is a single tube tunnel of T9.5 (9.5m wide, 66m2) profile, and the full tunnel project length is approximately 7.5km. The tunnel will have service recesses every 500m (opening the cross-section up to 90m2), and turning bays every 2,000m. 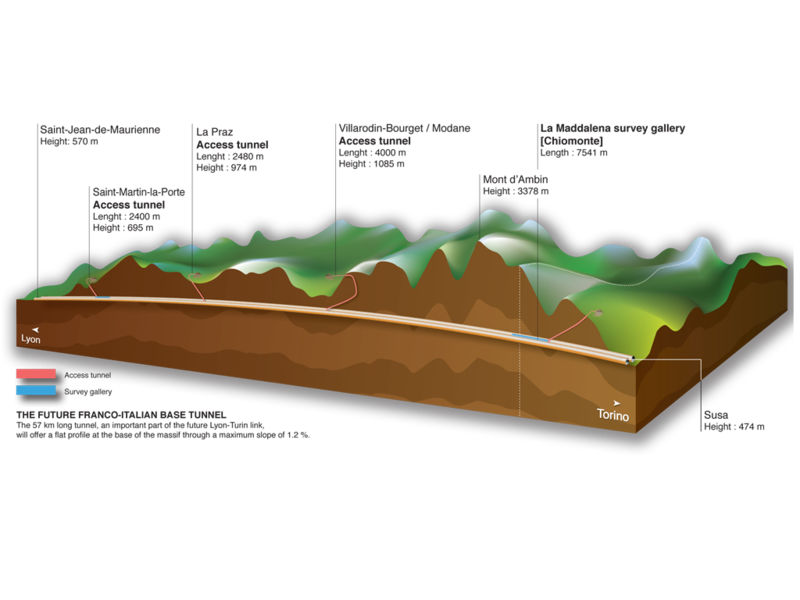 Geology is basalt with sedimentary beds, with mixed face conditions anticipated for a large part of the tunnelling. 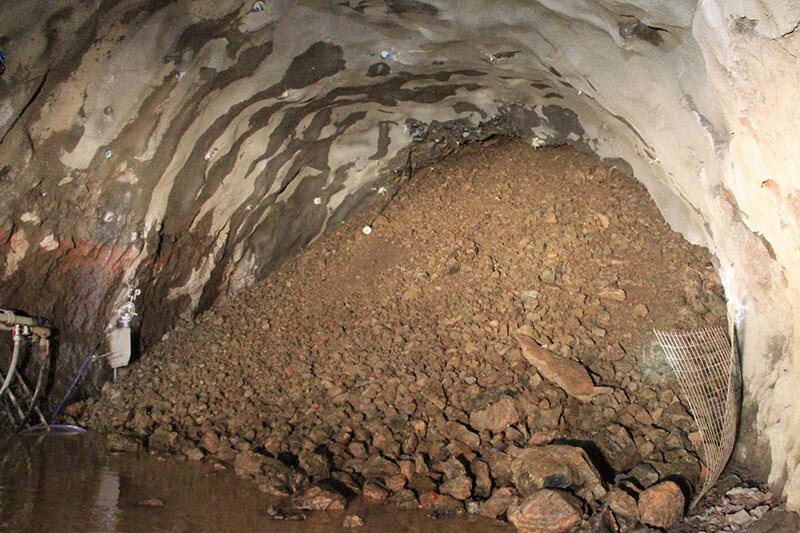 The current total excavation from both headings is 4,200m – almost 59%. Tunnelling on the Vadlaheidi scheme started in the third quarter of 2013. The initial plan was for the new tunnel to open by the end of 2016, and the schedule called for major tunnelling to be completed by September 2015. However, last year’s challenge of the geothermal inflows on the west drive and difficult working conditions led to delays. 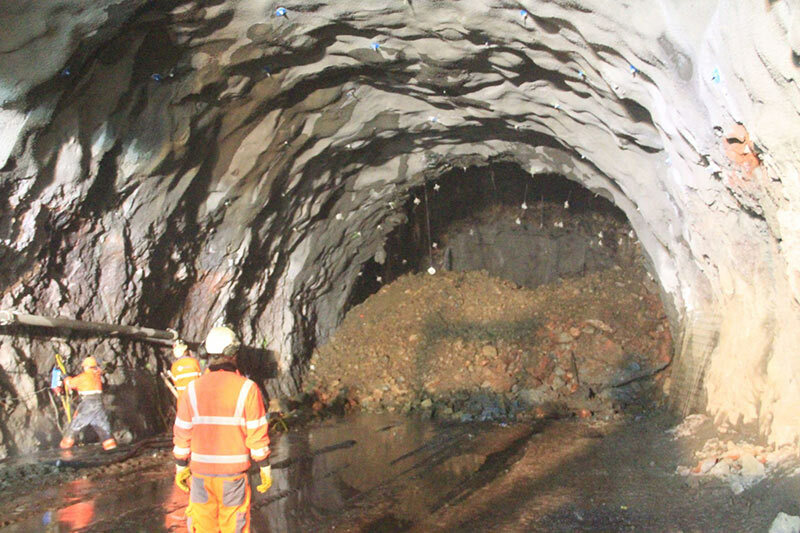 Now the collapse and flood in the east drive – just after blasting had safely moved beyond a sub-vertical fault zone and the face was into sound basalt once again – has pushed completion of the strategic transport link back even further. Thanks for a such interesting article!